The most beautiful things in life never come served a la carte. They often involve rigorous amounts of investments in time, energy and resources to achieve. Trees can also be an investment in any property with a beautiful home. 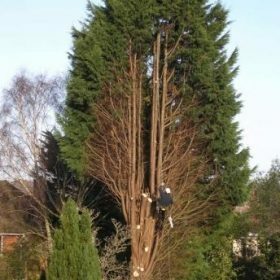 There are benefits of tree trimming services to such environments can never be overestimated. Although tree trimming is normally viewed as a less technical gardening or landscaping activity. Its impact can be detrimental to the trees. If executed with inadequate information and expertise. One of the most critical information that can help owners know. When to trim their tree is by their understanding of how the tree emerges. This is a trimming exercise that seeks to eliminate the possibility of an incidence occurring involving a tree branch. Trees often having overhanging branches can pose threats to lives and properties. Trees generally have a diameter that is greater than 2 inches. During storms, unbalanced tree crowns can pose more danger to properties than the storm itself. It is important to continually reduce potentially hazardous tree crowns. This standard gardening procedure involves the heavy removal of certain branches to stimulate the growth of the entire tree to your desired shape and structure. As the name implies, this is the art of slightly eliminating all redundant or unnecessary limbs or branches to make room for more growth. One of the primary purposes of tree trimming is to reduce the occurrence of redundant, withered or infected branches. That might post a threat to the survival of the plant. This activity not only helps curb the spread of infections to the entire tree. It also minimizes the tree re-apportion resources to the growth of more productive branches and limbs. No matter how beautiful property is trees are evidently lacking appropriate maintenance and trimming. Its value can experience a considerable drop. Thus it is important for property owners to invest in ensuring their trees are trimmed appropriately. To achieve the desired aesthetic effect, thereby increasing the property’s value. There is increased exposure to care for trees that are constantly trimmed. This makes the identification and treatment of insect or disease infestation swifter and economical. It is common knowledge that no amount of money can purchase a single human life. Investing in constantly trimming your tree to eliminate all overhanging. Also weaken branches eliminate the possibility of such branches killing a loved one. As well as damaging expensive items on our property such as cars or garages. It is only a flowering plant, a herb or a fruit-bearing tree. One of the major benefits of tree trimming service is to enhance the overall productivity of the tree. 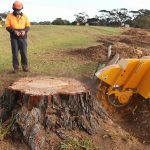 It is important to factor in these benefits of tree trimming services before deciding to embark upon or ignore the need to trim your trees constantly.